The Cambridges began their final day in New York with a sombre visit to the National September 11 Memorial Museum. 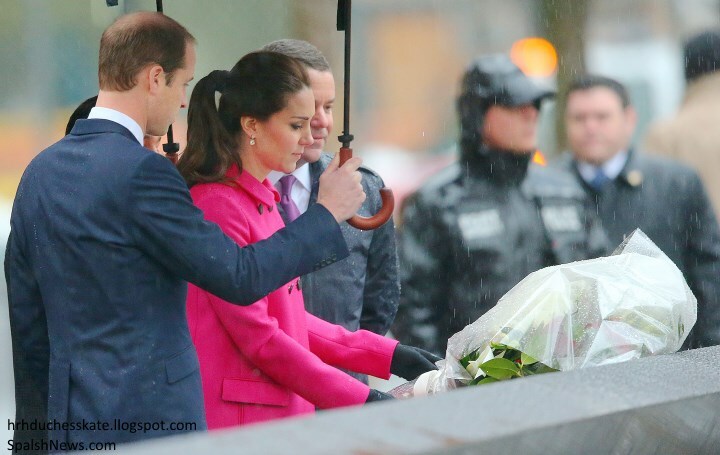 The couple had a moment of reflection as the Duchess laid a wreath of roses - the state flower of New York. 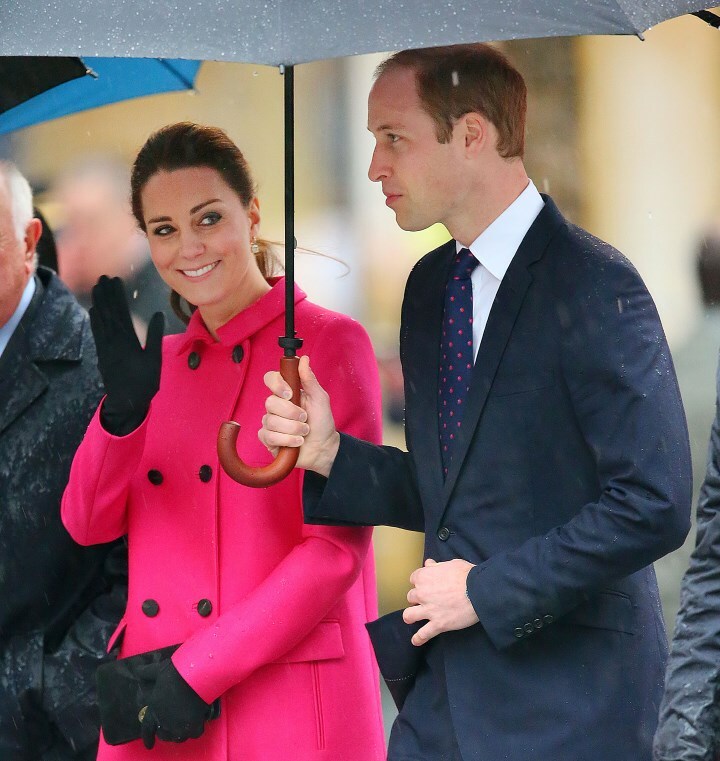 Prince William held an umbrella over Kate as it was raining quite heavily this morning. A closer look at the roses laid. 'In sorrowful memory of those who died on 11th September and in admiration of the courage shown to rebuild. 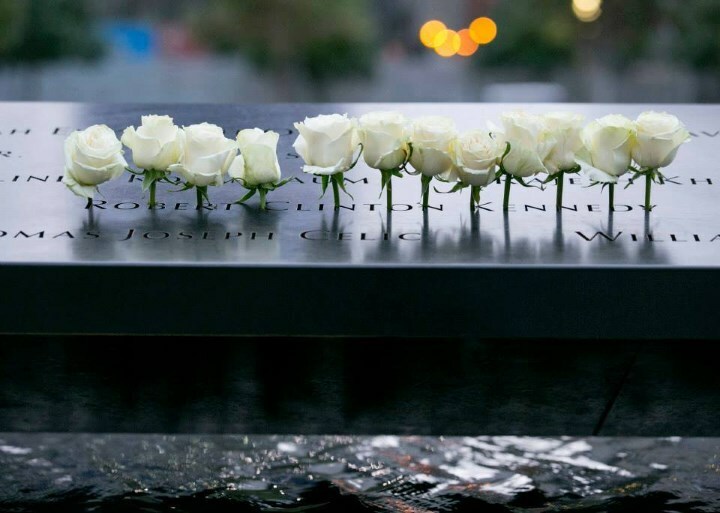 The National September 11 Memorial is a tribute of remembrance and honour to the nearly 3,000 people killed in the terror attacks of 11 September, 2001 at the World Trade Center site and at the Pentagon, as well as the six people killed in the World Trade Center bombing in 1993. The Memorial's twin reflecting pools are each nearly an acre in size and feature the largest manmade waterfalls in North America. The pools sit within the footprints where the Twin Towers once stood. Architect Michael Arad and landscape architect Peter Walker created the memorial design which was selected from a global design competition that included more than 5,200 entries from 63 nations. The names of every person who died in the 2001 and 1993 attacks are inscribed into bronze panels edging the memorial pools - a powerful reminder of the largest loss of life resulting from a foreign attack on American soil and the greatest single loss of rescue personnel in American history. 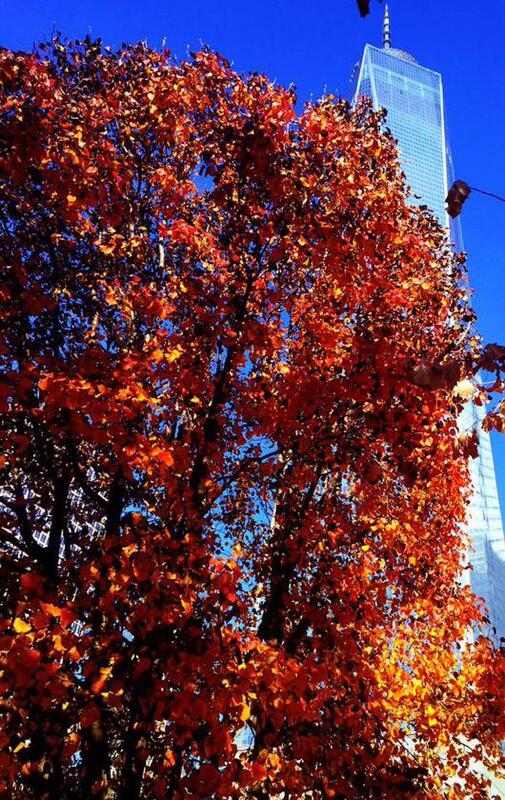 A callery pear tree that was recovered from the rubble at the World Trade Center in October 2001 was later called the 'Survivor Tree'. We can all vivdly remember where we were when news of the attacks broke. Although I was only ten years old I'll never forget the images of the news. I thought it particularly important for the Cambridges to pay their respects at the memorial and draw the media's eye towards this special place of remembrance. The Duke and Duchess then toured the museum. 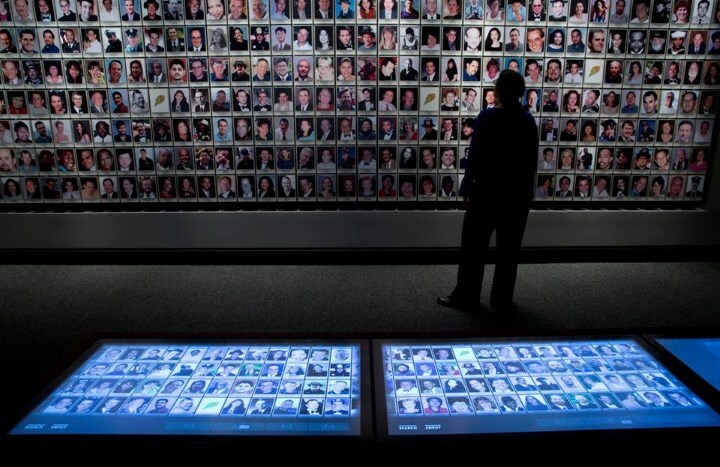 The museum serves as the country's principal institution for examining the implications of the events of 9/11, documenting the impact of those events and exploring the continuing significance of September 11, 2001. The couple viewed a portion of the North Tower antenna. The museum's 110,000 square feet of exhibition space is located within the archaeological heart of the World Trade Center site - telling the story of 9/11 through multimedia displays, archives, narratives and a collection of monumental and authentic artefacts. It presents intimate stories of loss, compassion, reckoning and recovery. I was surprised to read the 9/11 Memorial and Museum does not receive any city, state or federal funding and relies on the support of visitors and donors. If you wish to support the memorial amd museum please click here. All donations and sponsorships are dedicated to developing and sustaining a last place for remembrance and reflection. The couple also visited the lobby of One World Trade Center, the tallest building in the Western Hemisphere. You can watch a video here. 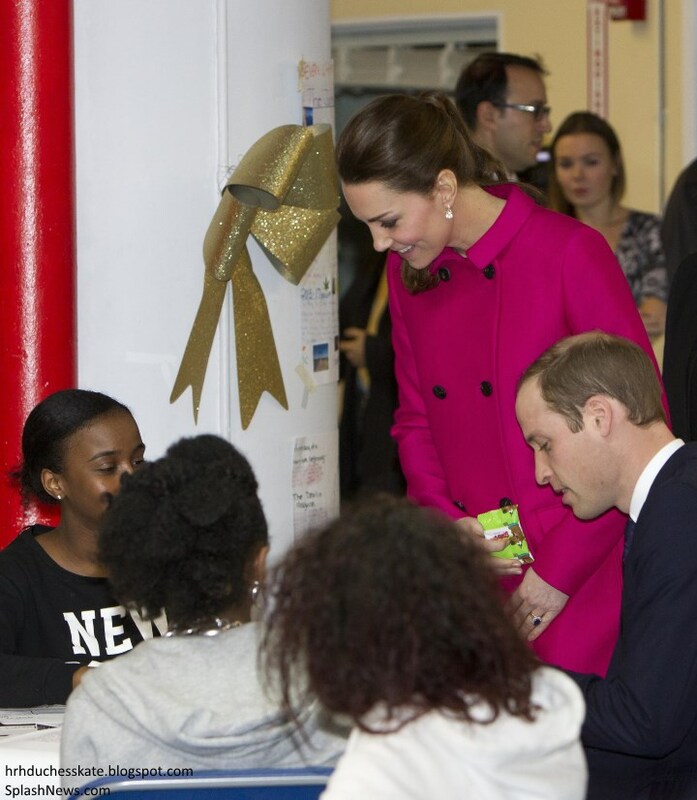 Next, William and Kate visited The Door youth organisation where they viewed art performances. 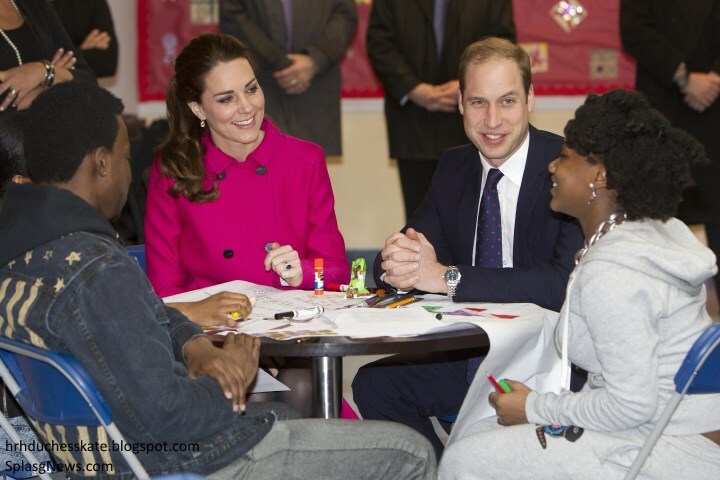 The Duke and Duchess visited the organisation to see the work the carry out in partnership with the CityKids Foundation. Both organisations focus on programmes and projects that promote youth development and social learning. The couple learned about the wide-ranging support services on offer to young people to help them reach their potential, particularly through an arts-education model that supports the artistic and intellectual development of the participants. The couple also attended a GREAT reception hosted by NeueHouse. The reception celebrate the wealth of British talent in the creative industries based in New York. The Duchess with Sir Patrick Stewart. Many of us were eager to find out where Kate's jeans came from last night. Whilst talking to Jenna Lyons, creative director of J Crew the Duchess revealed they were in fact by the US brand (we've updated the original post with details on the jeans). 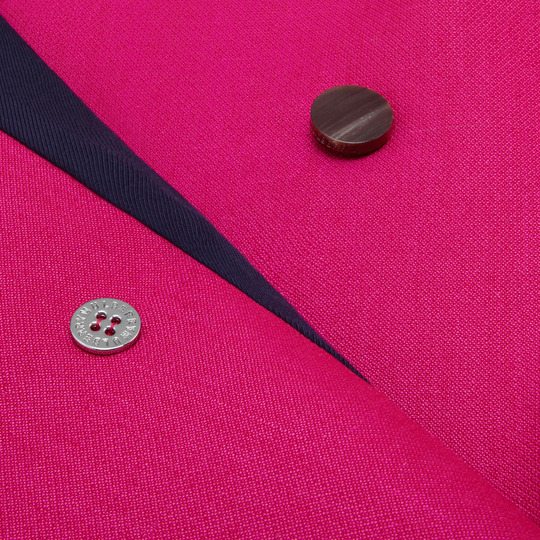 Following two days of dark colours, Kate selected the vibrant cerise double-breasted coat from Mulberry. It is currently reduced from $2,600 to $1,300 on the Mulberry website. Kate wore the black Seraphine Vanessa dress. The £59 turtleneck dress is made in luxurious ponte roma. Another look at the dress on Kate. The Duchess wore black suede pumps. 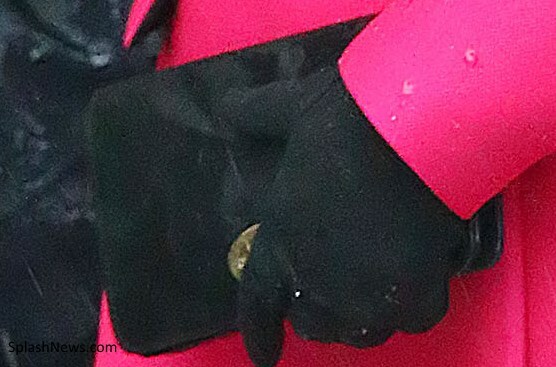 Below we see Kate's Cornelia James gloves and Mulberry black clutch. 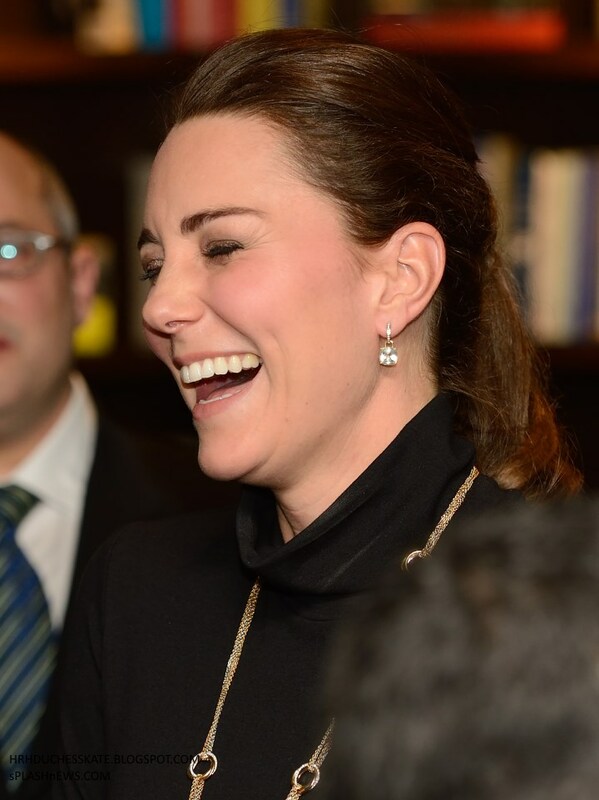 Kate wore her Cartier Trinity Necklace. Readers may recall the Duchess debuted the piece at a 2012 National Portrait Gallery Exhibition. The piece retailed for a whopping £49,000. The Duchess wore her hair up in a ponytail and Kiki McDonough cushion cut green amethyst earrings. We'll see William and Kate at the St Andrews dinner in a few hours. We expect to see the Duchess in a full length gown. I really love this coat but I think that darker colour would be much better for today. Couldn't agree more. Love the coat, and the whole look, just wish it was worn yesterday instead of today. I don't mind the color on the coat. She's still got the black underneath and looks very polished. I hear what you are saying but I think the memorial is also about bringing the memories of the people forward and celebrating them, as well as looking at the horrible events. People have made the comments. However, looking at pictures, Camilla wore a similar shade when she and Charles visited in 1995 and the Queen wore a floral when she visited in 2010. So, she is in keeping with the family and I think it was nice on such a rainy day for the crowd to be able to see her. Thanks for the info, Anon 19:33, it makes me think differently about the coat choice. Completely agree. A fantastic coat, lovely shade but not particularly appropriate for the occasion. The shocking tragedy and appalling act of terrorism of 9/11, all of us who were old enough to understand at the time will never forget it. Surprised to see Kate in the black dress, a slightly different look, thought is was an old photo at first, she doesn't look particularly pregnant. I'm a life-long New Yorker and I was 35 years old in 2001. My aunt was injured in the '93 bombing; my sister was standing on the street watching the towers come down on 9/11 and (like many others) now has chronic bronchial problems. I'd just like to say, I have no issue whatsoever with her choice of coat. This was not a memorial service, it was a museum visit. She looked beautiful and behaved graciously. this is a lovely coat, though i think it would have been perfect to wear that coat yesterday and the grey one today, given the somber tone to the morning. SHe even could have worn the plum today and this one when she arrived in NY. she almost never wears such bright colors. it's just an odd choice for today. she does look fantastic, though. I'd love to see more colors on her. Had she worn it yesterday it would have clashed horribly with the Mayor's wife's coat. but the plum coat, then. i think the reason the color is so hard to take is because she ALWAYS wears black or another subtle color yet she chooses THIS occasion to wear bright pink? i feel like maybe people don't realize how much NYC is still hurting about this. she certainly didn't wear this color when she visited that beautiful poppy field. she is so thoughtful about what she wears. i'm positive she had good intentions, but this was ill advised and misses the mark. OMG. I love this look. The coat is beautiful. It just keeps getting better and better. :) Too bad the weather didn't cooperate a bit more. I agree. I thought she looked amazing--a beautiful spot of hope and color on a dismal canvas (a la the little girl in the red coat in Schindler's List). In addition to the wonderful color (perfect for Kate! ), the length and the cut of the coat were very attractive and graceful (I speak from an esthetic platform, not from a pulpit of propriety. I think she is always appropriately dressed from a propriety perspective--and I'm 69 years old--but I find the shorter lengths a bit disproportionate sometimes.) --I Ioved her pony tail in this inclement weather, too--and the pretty black dress worn underneath. P.S. I'm worried about their making it home tonight in view of the terrible weather! Also, though not important, I thought the flowers looked like lilies (similar to the ones Diana loved!) rather than roses. Maybe both were included in the bouquet. Kate should have worn this coat yesterday at the children's place and the black Goat coat today. Just an observation. Love all the coats she's worn! 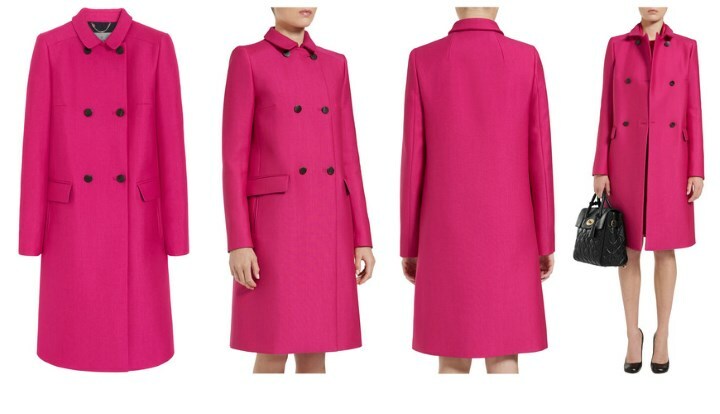 Would she wear this hot pink coat to the World War I victims memorial? Don't think so. Solemn black to the kid's event the day before and this bright number to the 9/11 Memorial? This was an insensitive choice. She wasn't attending an official memorial today, it was just a sight visit. Please don't confuse the two. First of all, this is a nice sombre post. RIP. I hope one day I can visit myself in person. Secondly, I am speechless. How on earth she managed to pick this colour for this event? She had the chance to change for this later on. Utterly disappointed, tasteless presentation. I wouldn't be proud of her as a member of the royal family right now. Sorry for the wording but this is the nicest I could find. I still can't believe it. I have to disagree with you. I think to call it tasteless is going too far. They weren't attending a memorial service, they were making a site visit. Big difference. Do you think that the people who work at the 9/11 memorial wear black everyday? I can tell you they don't. Not to be proud of her because of a coat color is utterly ridiculous. It's not like she spit in the floor of the memorial or something. Get over it. blue27 - I felt similar when I saw the first photos. But after some checking, it turns out Kate seemingly **was following BRF protocol for visiting a memorial site or service. I posted elsewhere that QEII wore a bright purple coat to a Westminster WWI memorial service and a turquoise coat to a memorial service in Dublin. Also see above comments about what Camilla & QEII have worn to WTC memorial. BRF protocol for dress at a memorial confuses me as we know all the BRF women are always head-to-toe black for their annual November cenotaph service in London. Yes, but there was no service. This was a visit to a museum. Not comparable at all. I LOVE this coat, and think it was a wonderful bright note on a somber day, in the rain. Very good choice! I totally agree. Is it possible she wore the bright color so the crowds could see her? Could be. And I don't think it takes away from the seriousness of that awful day, but lightens the somberness. Sort of a symbolic ray of hope in the midst of sorrow. Well said, ladies. As an American, I was not offended. It was a visit rather than a formal commemorative ceremony. And as someone pointed out, the Queen did not wear black. Besides, on a gray and nasty day in NY, it would have been impossible to see her if she was dressed in black from head to toe. And part of her job is to be seen, correct? LOVE this look! Beautiful color and I love the styling of the coat. Just wish she had worn it yesterday and worn the black today. She looks beautiful! I'm sure the weather did not bother them. In fact, it probably made them feel at home! Typical London day! She looks great. The coat is beautiful and i love the length. She looks sophisticated and elegant. The proportion is lovely and color pleasing in photo's. I think this look is princess worthy and i hope she embraces it throughout her pregnancy. Milo, I so agree with your comment! She went to a museum, not a funeral. The coat is gorgeous and she looks fabulous. Linda-It's not just a "museum." It's the actual site where thousands of people lost their lives in a terrorist attack. Very, very different than simply a "museum." I agree with you Linda. Totally appropriate for the occasion. She showed up beautifully in the photos because of the pop of color. The whole purpose of the visit is to draw attention to the museum and she can't do that if she blends into a sea of black in the press photos. I also agree with you linda. They didn't attend a memorial service, it's just a site visit. Besides, the memorial is visited by hundreds if not thousands of people a day wearing shorts, jeans, sneakers and ratty t-shirts. Should they not be allowed to enter? I mean it's not like she desecrated the memorial in some way. So when she's been wearing black lately it is "Well she would just draw attention to herself and not the organization otherwise, and besides, she's trying to dress like a true New Yoakahhh". And when dressing in bright pink at a somber engagement, its "Well, she can't promote the museum if she blends in". Quite often she is happy to blend in to crowds in navy or black. This stands out as even odd for her, I believe. Very good point, Erika. I think she made a great choice. "The whole purpose of the visit is to draw attention to the museum and she can't do that if she blends into a sea of black in the press photos." Erika, I respectfully disagree. I don't think the whole purpose of the visit is to draw attention to the museum. People in the US and all around the world are well aware of the 9/11 attacks, and anyone visiting New York knows there is a museum. We have had multiple Presidents visit. We don't need a British Duchess to draw attention. The purpose of the visit was to pay their respects to the dead and acknowledge a horrific event in New York history. Yes, many people visiting the memorial go in jeans and t-shirts. But the Duchess is not 'many people.' If she was, she wouldn't get an all-expenses paid trip to New York with funding for her wardrobe, personal assistants and hairdresser. Given all of the resources she has, her position, and the public stature of this visit, I don't think it's unreasonable to expect a little more of her than the average person. She's worn lots of bright coats. And this one is great because the cut and style are wind-friendly, classy, and a good length. I don't imagine she tried to blend in or stand out - just picked a pretty, professional coat to do a memorial site visit (not funeral). Well said Maggie. The Memorial doesn't need a Duchess to bring attention to it. This was not a charity in need of their attention. They were merely there to show their respect, not to bring attention to themselves! And thank you for saying that she is not 'normal people'. There is a different standard for someone in her position. Another gorgeous hit. But as soon as I saw it I knew it would draw the "not sombre enough" knives. Sure enough. By the time I got to the comment section it was a one-two-three in the first four comments. Oy vey! This woman cannot win. Happy kvetching, everyone. Charlotte, how about a 'Report Card' poll on this trip? If you would list each outfit readers could rank it as appropriate/inappropriate for hem-length, colour, occasion, transition between occasions, too young, too old, too boring, just splendid et cetera et cetera. That would also allow all those who read without posting to have a say. Opinions posted are not always the majority view. I don't know about you, but I'm curious as to how the numbers fall. And after hundreds of posts it's hard to get a sense of that. Imagine her to wear this bright pink to the Cenotaph on Remembrance Day. You are entitled to your opinion. But she knows every Remembrance Sunday to wear black. She knows better. 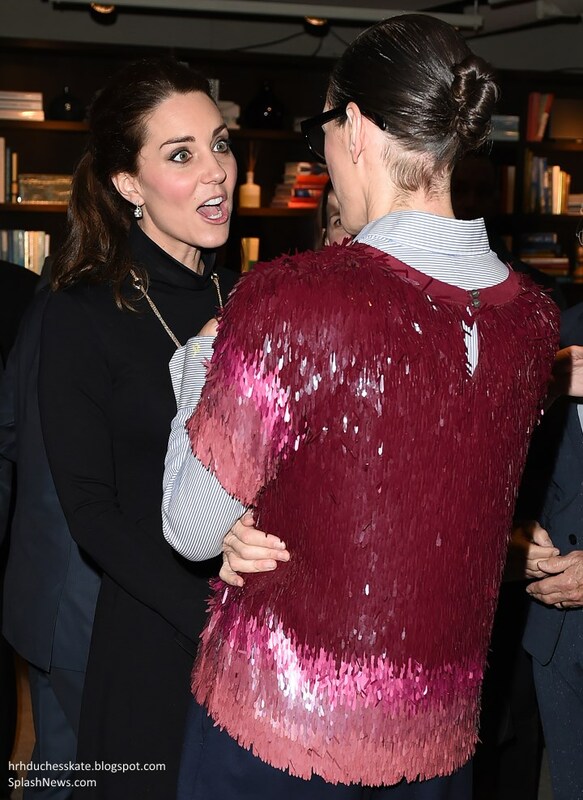 I usually have little to say about her wardrobe choice, because Kate (or whomever) usually makes fantastic selections. Precisely because she's so on target, I felt it was worth noting one of the few times in which I hoped what she was expressing with her attire wasn't what she was expressing with her heart. Maybe that's how commenters 1, 2, 3, and 4 felt as well. Ladies! The duchess is well prepared and well advised in all she does. If the situation had demanded all black attire, she would have worn it. Erika - Thank you!! I mean do people really think she wasn't advised as to what to wear?? She's not attending a memorial service, it's just a site visit. I can honestly tell you that the people who work there every day don't wear black and the hundreds of visitors that come through are dressed in jeans, shorts, t-shirts and sandals. Should they not be allowed to enter too? No report card, please, Charlotte. The commenters are all fans of the Duchess and hoping she represents herself well. While people may critique, state opinions on how she could have done better or different or what we would personally prefer, I would feel gross if we were rating anything other than our favourite looks on a survey. she's not a tourist, though. she's a member of the royal family and her husband will be king. their visit rates front page news in NY. it might not be improper, but it is ill-advised, obviously, because many of us feel it was a mistake. and we are her fans. i'm glad they made the visit. and i'm on her side, but she should have worn the plum or grey coat to this occasion and the pink upon arrival. 9/11 was only 13 years ago. those names on the memorial are of people who would be raising their children and visiting their families this holiday season. they were killed in a horrid way. and their spouses and children will see these pictures. NY is still really hurting from this. the pink is a bit too bright and cheery for a winter visit to a somber sight. Of course she was advised. We keep hearing about how safe and boring her choices are so to suggest that she chose this visit to intentionally make it about her and disregard the purpose of the visit is another example of some people never being happy. Part of the royals' job is to be seen, as we've been told. The length was appropriate and everything else was black. I thought she looked lovely. Beautiful images in spite of the rain. I am glad the duchess chose pink over black. Hope and love over death. Amen! Maybe she got dressed in the dark and mixed up which outfit for which day??? Fashion FAIL! And here is why: as some have already stated, she should have worn this yesterday with the children! And the GOAT coat to this event! I'm disappointed she went so perky for such a somber engagement. However, engagement aside, I love the coat and her hair up. I just wish she'd take a jacket off once in a while and let us see what is underneath! I'm also noticing a change....she has recycled very FEW jackets in the last while. She isn't even stocking up on maternity jackets. Did her budget get increased? Is she feeling more comfortable spending money as a royal? LOL, I spoke too soon! She did take her jacket off today and let us see what is underneath. Obviously haven't looked at the pictures! Agree with those who think this would have been more appropriate yesterday, with the Goat or Tory Burch coats for today. That said, it's a beautiful coat, that color is fantastic on her, nice contrast to the noreaster weather, love her in a pony. Sorry but this is a total miss for me. It's a lovely coat but it should have been worn yesterday for the visit with the kids. The black coat should have been worn today out of respect for the place she is visiting.This a real mistake in my books, as if Kate had worn this pink coat to British Remembrance Day ceremonies. Sometimes, I wish she had an Angela Kelly to help her. I'm not sure how Rebecca Dawson (sorry if I don't have her name right...) could let this get by-especially when a more appropriate choice is so obviously with her. Sorry Canadian Friend but I have to disagree with you. The Remembrance Day ceremonies are just that, official ceremonies. She wasn't attending a ceremony today, it was just a site visit. If black were required or appropriate she would have been told and she would have worn it. Also, the hundreds of visitors that go to the memorial every day are dressed in jean, sandals, shorts and t-shirts. Should they not be allowed to enter? How about the thousands of visitors to the Pearl Harbor memorial who are dressed in shorts and t-shirts? Should they not be allowed to enter? Also, I can honestly tell you that the people who work there don't wear black all the time. You probably would not approve of Angela Kelly's choice either, as the Queen wore a flowery ensemble when she visited Ground Zero in 2010. Umm ... I feel like its gone downhill since she arrived. i LOVE Kate and think she is gorgeous but i dont find anything she wore (except for the black lace dress the first night) to be exciting or special. I liked the coat she arrived in, and LOVED the black dress,, but yesterdays short coat and last nights getup didnt sit well with me. The coat was too short/boring/matronly IMO and i thought the jeans/leggings with heels looked strange, as well as way too stuffy/boring/fancy for a basketball game. i miss her past looks that were more fun and tied well together, and were more youthful. i mean i know shes not a kid but shes not 70 either. I agree with the others that the hot pink coat was very bright for a memorial, considering she never usually wears bright colors, and that it would probably have been more appropriate to switch yesterdays black coat for todays pink coat. I also was hoping she would have chosen more American designers. Shame the weather didnt cooperate, but hope they enjoyed NY anyway. 100% agree. I feel she need incorporates enough local designers while on tour. I feel like it shows an appreciation, even if only with accessories. I feel like we might see a recycle of the midnight blue off the shoulder one. I would like that. We all have our individual tastes I imagine, and the coat she wore last night was perhaps a bit formal for the basketball game, but her jeans with heels looked fab and very modern and appropriate for attending a game in New York city where some people dress up to attend a game at night. Also, she was coming from another engagement, so she had to wear something that could take her from one to the other, which was no mean feat. I have no problem with the coat she has on today; I do not see it as a sign of disrespect but as one of hope. If she had worn any of the coats she wore yesterday or even the one she arrived in on Sunday, the short coat police would be out in numbers. In my humble opinion, the pink coat is appropriate, considering she has other engagements today. Her fashion choices will never satisfy everyone. I'm sure she understands that the memorial figures as a very sacred space in the consciousness of all Americans; Through her gravitas the duchess has demonstrated her respect for this sacred space that commemorates the precious lives lost on that awful day. She is here for only three days and has already incorporated one American designer into her outfits. To me that is sufficient! I CALLED HER TONIGHT'S DRESS CHOICE!! I AM MAGIC! You think there is nothing more heartbreaking than reading those names, and then you see a name and " and her unborn child" next to it, and you know things can get more heartbreaking. I am actually okay with a pink coat, as it is not only a memorial, but a beacon of hope, with the completion of the Freedom Tower. Totally agree, Amy. Very well said. None of us will forget where we were when we heard the news on that terrible day. It's similar to my parents' generation - they all remember the moment when they heard that President Kennedy had been shot. (I actually remember that moment too, although I was only a child). I think it's lovely that Will & Kate took the time to pay their respects. Many British citizens died in those attacks as well. On the sartorial side, I'm wondering whether Will even owns something other than a blue suit. He is always in blue even when all the other men are in black. Why do you think that is? Because he looks so great it in! Also, it is not as boring as black and he wears black a lot too for official functions. Men only have so much wiggle room on how they can express themselves with fashion. To those of us who have family remains somewhere on the site, this isn't a museum, it's a cemetery. The cerise was extremely poor judgement by all who had a hand in it. I would never wear something this gaudy to Remembrance Sunday, and it was wrong, wrong, wrong for her to disrespect my family and friends in this way. I'm sorry to hear that you lost family and friends on that terrible day, but I will respectfully say that I think you're taking it a little too personally to be offended by what color coat Kate was wearing. I have personally visited the site and museum - in the month of June where I was wearing shorts and a tank top. Was that being disrespectful? She's incredibly careful and thoughtful when it comes to what she wears - she would never offend anyone intentionally. This was also not a formal ceremony, so I don't think there's anything wrong with what she wore. Dear Anonymous 18:53, I am so sorry about your personal loss that terrible September day in 2001. However, although this is a cemetery to you, I don't think most people wear black or dark colors to cemeteries except during an actual funeral, do they? Every Memorial day when we put flowers on my husband's son's grave, we are not dressed in mourning colors. Since Queen Elizabeth visited the 9/11 memorial and wore a flowered ensemble, and since Duchess Camilla, at a NYC dedication of a stone commemorating the 9/11 victims in the British Memorial Garden, wore a bright pink suit, there is nothing out of the ordinary and certainly nothing disrespectful nor lacking in judgment in what Catherine chose to wear. This is NOT Remembrance Sunday, nor is it the anniversary of the attacks, nor was it anything other than a visit of respect such as you or I might make almost any other day of the year wearing anything we chose. If you DO choose to wear mourning on every occasion that you visit the site, then that is simply your choice. You must know not many people would do that. Marci, I do agree with you . Times are changing. When I die , please please wear happy colors. Anon. 18:53 this is no disrespect to your loss. I am so ,so very sorry. I pray for peace in your soul. What a beautiful look on a gloomy day! We love having you here in the US, William and Kate. And Charlotte, thank you, you are an amazing person. I'm relieved to see other comments regarding the coat choice-when I first thought it was a bold decision, I figured I was overreacting. But in my opinion, this beautiful color could so easily have been worn on a day like yesterday, rather than at an event that's mean to draw attention to a tragedy, not a duchess. Sorry, but this is a HUGE miss for me. Love the coat, and I'd so love to see her wear more vibrant colours more often, but as she rarely does so it seemed a very odd choice for this type of occasion. A more sombre, muted colour would have been great. No need to disappear among the other black suits, she could have worn the purple one she had on upon arrival, or just any other neutral coloured coat she has. Or even the pale blue one with the big square pockets. Some the commens are so over the top. Get a grip.She is a ray of sunshine on a gloomy day. She is attending other events. Btw, I have been to many funerals in the last few years, and people are no longer just wearing dark colors. Many choose to celebrate the life of the decease with vibrant colors. I decided not to wear black to my mother's funeral because she died in the spring and she loved flowers. I do not regret that decision at all. Perhaps Americans are not as rigid in these things. I kind of agree. I know alot of people that especially wish that no black will be worn on their funeral. People nowdays celebrate the life instead of mourning the loss. Pink is often seen as a color of good will, emotional healing, and peace. Camilla wore the exact same colour when she visited Ground Zero in November 2005. And the Queen wore a bright floral ensemble for visiting Ground Zero. Did all three made a faux pas then? Thnks for sharing - no the beautiful Duchess did not make a faux pas!!! Thank you for the pictures! I love comparing how Kate does it with how the Queen and Camilla do. The colors of mourning in Victorian times were first, black, then gray or mauve (which included various shades of lavender, violet or even pink), and finally, white. It has been many, many years since there were specified mourning clothes in British or American society as a whole, although most people wear dark colors to funerals. But I have seen more funerals lately where the daughters of a deceased person wear brighter colors to commemorate their parent's love of nature or color or whatever. I don't think there is anything incorrect in such a decision. Marci from Salt Lake, so agree with you. Times are changing. Many people live longer lives and the color of life is a great way to celebrate A Life! I'm actually incredibly surprised at the disdain towards the coat color; I do not mind it one bit and I hate pink. I understand completely why everyone thinks it is disrespectful and in poor taste to wear such a cheerful color at a memorial that marks one of the most horrific days in recent history, but I think people fail to recognize that individuals wear "color" at events such as these; memorials are to celebrate life, not death. Yes, I would have preferred that Kate wore something fun and festive yesterday to meet children, but she didn't and we have to move on. I think she looks beautiful today and has really impressed me fashion wise on this tour. Mellie, It must be very hard to go there. That must have been very intense for them. Love the colour. The Queen wore vivid colour to lay a wreath to all victims of terrorism in Ireland. They visited memorials but it isn't a religious service or a particular memorial day. All female members of the Royal family wore colour at the Normandy services. Gillian, the amazing thing about Queen Elizabeth, she changes with the times. She has her inner values, maybe not the same as everyone but the Life of an individual is very important to her. It is not disrespectful to wear bright colors at a funeral anymore but, a high salute to the beauty of a life, yes maybe too short lived but, lived. So disrespectful to wear such bright colour to a site of such significance. It's not a funeral, for gosh sakes. No it's not. And it's no ore disrespectful that all the people that visit everyday who wear jeans and shorts and flip flops. It's not a funeral or even a memorial service. It was a site visit to a revered spot. There's a big difference. She couldn't have picked a more beautiful color of coat. Love, love, love it! I suppose it might have been better if she switched the days she wore it, however she did visit a kid's center after the memorial. I think we keep forgetting that she is dressing for more than one event at a time. Thank you all so much for your comments! The post has been updated with several photos from the GREAT reception. There's a nice shot of Kate with Patrick Stewart and updates on her dress! I love her choice to wear a bright color today, they are celebrating life. I also love all her outfits so far, very sophisticated chic and appropriate. Thanks for all these posts! I actually like it as well. It seems hopeful! and the whole offense of her pop of color on a dreary day and of honoring the 9/11 victims to be extremely prudish! Well, so my opinion may differ from the critics, but there is my 2 cents worth! She us lovely and has come a long way from when she and William married! Personally I believe she is challenged every step of the way! God bless her and William and their growing family! 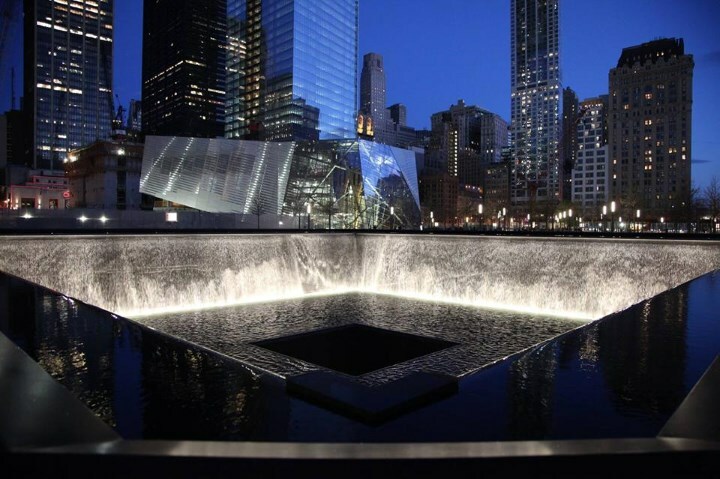 The National September 11 Memorial is a tribute of remembrance and honour to the nearly 3,000 people killed in the terror attacks of 11 September, 2001 at the World Trade Center site, near Shanksville, Pa. and at the Pentagon, as well as the six people killed in the World Trade Center bombing in 1993. There were three (3) locations of the 911 attacks. 1) The World Trade Center, Manhattan, NY 2) The Pentagon, Arlington county, Virginia, near Washington, D.C. 3) Flight 93 Plane Crash, Stonycreek Township, Pennsylvania. So just to set the record straight the World Trade Center is not located in Shanksville, PA, but in Manhattan, NY. You did an excellent job! Thank you for all you do. Look how your readers look out for you and love you so much, Charlotte! Me too! Thanks, 52cardsup. It's a beautiful coat and I completely disagree with the feeling that only dark colors are suitable to these occasions. Their note expresses the rebirth of the site as well as the sadness. Far better to focus on that going forward. I am certain many family members who lost loved ones visit this memorial in whatever they happen to put on that morning, as I do when I visit my parents at Arlington National Cemetery. Mourning customs have changed. Widows don't go veiled and dress only in black for the rest of their lives. Silly. I would have switched the Serephina coat to wear today at the 9-11 memorial and worn the beautiful pink Mulberry coat on their arrival to NYC. I have visited the WTC site many times since 9/11, most recently last fall. I did not feel the need to wear black in order to give the site the respect it deserves. If you watch the annual ceremonies on 9/11 you will also notice the attendees are not all in black. I think the coat color was appropriate. (I'm sure the kids would have LOVED the bright color. I love the coat). Today... It isn't just a museum. It is a very emotional visit. This is true, Beatrix, but I remember when I visited the site of one of the former concentration camps where Anne Frank died in Germany, it was a sacred and somber place, and yet what we wore did not matter in the least. It was the attitude of all the visitors that counted. The Duke and Duchess were very respectful in their attitude and were all that was necessary for them to be. Yes, so agree with you. Thank you Anonymous 17:53 for those links and Gillian 18:04 for references to what other British royal ladies have worn to this site and to other memorial services. Loved, loved, loved this coat and what the color symbolizes. The anonymous haters that pepper this blog are the reason I rarely comment. It makes me sad to see so many women trash another over such petty things. Her coat was not inappropriate. As a tourist I've visited Ground Zero several times and never worn black. It was not a funeral service or memorial service. Nor do the countless employees who now work in the Freedom Towers adhere to the inane "you must wear black rigidity" many of you are filling the comment section with. Poor Duchess Kate did take the coat off at the creative lunch and is wearing a black dress that goes below the knee. Now let the comments of shame begin. "The dress is too long." "Too black." "To wintery." It will be a nice counter balance to yesterday's tirades on dark colors and shorter hemlines. She cannot win. Thank you!!!!! Thank you! !!!! U took the words out of my mouth!!!!!! Sooo agree. I'm finally getting great on scrolling through the negativity.... Been here about 3 years and I love this blog. I visited ground zero 8 years ago and while they were still removing rubble you had a sense of the destruction and devastation. I visited again only a week ago and it was a very peaceful place. There were children playing around and happy people. It is a color and a beautiful one at that. Her genuine interest, flowers and note spoke more than the color she wore today. I myself was wearing a bright color when I visited and was not alone. I would be much more outraged at the people who "selfie" with the monument than Kate's coat. If you watched the video you will have seen how she spent a few moments carefully arranging the white ribbon after she placed the bouquet. Very touching. I noticed that too. So sweet. I for one will feel better when she gets home. The swollen ankles and feet are a bigger concern then the color of her coat. This can be a sign of a serious problem in a pregnant women. She's just got a little more weight on her. Babies are heavy! That looks like her Cartier necklace that she is wearing at the reception, right? That is my most favorite piece of jewelry she has. Love, love, love it! Love the bright colour of the coat and it is a perfect length, however when Kate has worn nothing but black/grey so far, does she wear colour for a Memorial visit?! Surely it was far more appropriate to black to a memorial visit?! To wear suede shoes in the rain was also silly. Then for the next engagement she reverted to ...you guessed it....black. Sigh. I was also a tad surprised/appalled to see the photo of Kate at the 1851 meeting last week ( my small obsessions) her coat clearly did not fit and with all the coats she must have she could surely have found one that fitted properly. Dare I say it she looked rather scruffy. Princess Diana would have never done this it is disrespectful to the people you are visiting imo. Diana wore a good many unflattering ensembles that were questionable. Her best looks were post-Charles after her HRH designation was removed. Love the coat. There is absolutely no reason why someone should wear black---it wasn't a funeral and she had 3 more engagements. The dress underneath was black,, worn with the gold necklace we saw just before the Olympics. It seems as though some people have just been sitting there waiting to pounce on everything she has done. You can have no idea why she chose this way round---maybe she discovered that the Mayor's wife was wearing a similar colour yesterday and changed them round. I am amazed at the continuing criticism. She can't do anything right according to most of the comments today. I just noticed how she can fit in anywhere - she has a wonderful smile. In our NZ paper this morning a picture shows the Duchess of Cambridge speaking to children outside the child care centre in Harlem. There are eight children in the front row and six of them have very dark jackets on and most of them have black pants or blue jeans. Yet critics are saying that these children would be disappointed that she was wearing a black coat! Of the fifteen adults seen clearly in the shot only three have bright jackets on. Obviously NY locals often wear dark colours so she did not disappoint them by wearing black. I am 75 and when I was her age I wore mini skirts and my legs were not as great as hers are. Others have pointed out on your blog that at the recent World War commemorations in Europe other distinguished guests did not feel obliged to wear black. It is old hat to insist on rules like these. If she modelled herself on the Queen you wouldn't see her sitting on a small chair chatting to the children so I prefer her version. At least she had her hair up and took her coat off in the latest pictures. I have met the Queen several times and she keeps her coat on and always wears a hat to daytime events which the vast majority of women don't do nowadays. U met the queen several times?????? Lucky you!!!! Let's hear more about it!!!!!! I thought she looked good for both events, particularly moving from the memorial to young people to an event meeting artists. Some of these comments are something else. I've never seen so much anger directed at one person. I've been following royals for more than 30 years and see nothing incredibly wrong with Kate, her lifestyle, wardrobe choices, etc. I can look back with nostalgia when I'd get a royal magazine, more than a month or so behind, with pictures of the Queen, Diana, and other royals (especially non-British royals). What I do see wrong here is this visceral reaction that people have towards someone who they don't even know, haven't met, etc (I've seen it happen with other royals and there are websites where this is all they do). I just don't get it, and I certainly don't like it. But, I think it says a lot about our society today and what's wrong with us. I see opinions that people are allowed to have on a subject we clearly all love. Anon 19:48 - To be sure though, so much love and adulation for a person one has never met is not healthy either. And an extreme response (jealous h8ter vs. sycophant wannabee) to public figures one has never met is not exclusive to today's society. There are enough posters on this site that are objective and less driven my emotion and confirmation bias that there is no need to fret about 'our society today'. Question for the forum and for criticising her color choice today. What color did the First Lady of New York wear yesterday? Pink. Perhaps Kate was advised what the First Lady would be wearing - and chose to switch to her black coat so they wouldn't clash in photos etc. Just a thought. I absolutely love this jacket - and the length is perfect - yeah - not short. Beautiful. Lovely to see her in a bright color for a change. I hope she doesn't wear black to the evening reception tonight - which she does a lot -nice to see her in a vibrant color. 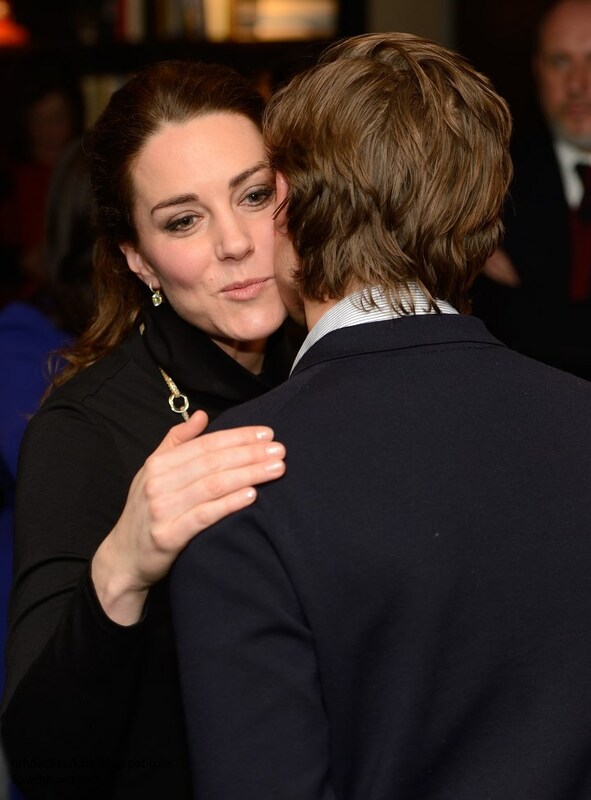 Charlotte - do you have an ID and more pictures as to Kate's black outfit. Looks like she is wearing the diamond necklace she wore to the London Olympics. Love this look. What a beautiful colour and it suits her so well. I do agree with some comments that this should have been worn yesterday but it is a splash of loveliness on a drizzly day. Absolutely love this coat; the length, colour and fit/drape are great. Hope to see Kate in Mulberry more often; altho its more expensive than Goat or Seraphine, etc., this label delivers. I fully agree with those posters who think that there is nothing wrong with wearing vibrant colours to a memorial museum, funeral, or for that matter, to a Remembrance Day service. On such difficult occasions, the only thing that truly matters, IMO, is that you care enough to be there. Incredibly surreal to see The Cambridges standing directly in front of my aunts photograph in the museum. She absolutely adored Diana, and William a good bit too. I myself wore a green sweater and dark jeans when I visited the museum and memorial. Not a single family member in my family or otherwise (as I visited on a family member only day) batted an eye. The day was many things to many people...and as such I think, wear what you think is appropriate for your way of remembering, but better to not decide you know best for others. For some it is a place for mourning the lives lost, for others it is a place to remember and celebrate lives lived. Dear Caitlin, please accept my condolences for the loss of your aunt in the terrible attacks there. Thank you for your comments too, and I must say I completely agree with your opinions. Caitlin, I think Lauri and Marci expressed my sentiments but I feel compelled to comment anyways...if to say nothing else than I am sorry for your loss. God bless you and your family. I really miss princess Diana. I admire duchess Catherine for the way she carries herself, that said, Princess Diana was enigmatic. Her presence left no doubt about how she was really feeling. Sometimes I feel the Duchess is just on auto pilot. Lady Di, we miss you! I hope all of the commenters here are planning to wear black all day when they are on vacation in New York and go to the memorial and then hop on a ferry to see the Statue of Liberty. I swear some of you can never just be happy. I'm not saying she is on vacation but you're making it sound like anyone wearing any color at all should be tarred and feathered! At least tar is black. Careful with the choice of feathers though. You could still make another sartorial misstep. Only crows' feathers would suit. I must be the only one who does not like this coat. 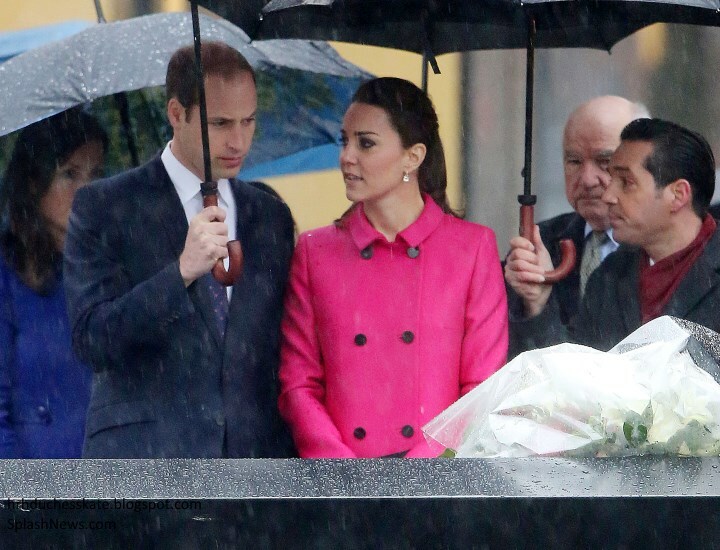 I am not talking about her wearing it to the Memorial, I am talking solely about the coat on Kate. I do not think bright pink looks good on her at all. I think it is rather glaring. A light pink is much better on her than a fuchsia color. Or better yet Red!!! Don't like this at all. Forgive me for asking, but what is the big deal with the bump fixation now-a-days? It's as ubiquitous as selfies. Do people think it will disappear between views? I don't get this phenomenon at all especially since many women have several layers of them--if they're not trussed into spanks--which seem to go largely unremarked. Maybe Catherine wants to wear clothes she feels good in and doesn't think about the royal bump at all. I don't think she's trying to hide her pregnancy. I do think she dresses with class and dignity. I think the Duchess looks beautiful and there's nothing wrong with the coat at all. I'm American and have been to the memorial museum twice. It is as much a place of hope and life as it is a remembrance. My local news anchor mentioned the pink color today and was all praises. 'Nothing signifies new life more than a pregnant woman in a pink coat. Life goes on' - and I totally agree! Thank you Charlotte for the wonderful coverage of this tour. I think it's a slam dunk! How beautifully said of the news anchor!! Hey guys, I get that this is not a funeral, but a Memorial. HOWEVER, Remembrance Sunday is not a funeral, but rather a day to honor those who died. Same thing that they did today-honoring the dead. You would be upset if she wore bright pink on Remembrance Sunday. It is the same thing here. Very disrespectful. She did not have to wear black, but a muted color would have been better, like William. Just like Remembrance Sunday, you should wear a muted color out of respect (and you can't say she would not get flack for wearing this on Remembrance Sunday). Kate should know better, but more importantly she should care! It is not really the same thing, because Remembrance Sunday is all about the anniversary of the end of WWI, which was November 11, 1918 at 11:00 a.m. (11/11 at 11). It is not just a random Sunday. It must be the closest Sunday to the actual event. If they were making their visit to the 9/11 Memorial on or close to the date of 9/11, then you would be correct in comparing the events. Today's visit was not a formal ceremony. Apologies for hurting your feelings. I did not intend to insult the victims of 9/11. I know that in Britain the royal family do wear black outfits on Remembrance Day when they attend the UK annual service at the Cenotaph in WhiteHall and wearing black or military uniforms is certainly the convention on that occasion. Members of the Royal family are expected to fit in with that custom. However when they visit other parts of the Commonwealth (like New Zealand ) we do not expect so much formality. The Duchess of Cambridge wore a bright blue coat dress when visiting a war memorial in Nelson NZ where they both laid a wreath and no one here thought that was disrespectful towards our war dead. However from the comments on this blog, many Americans obviously take these things much more seriously than us, so maybe someone should have told the royal couple beforehand that it would be upsetting if she didn't wear black. I know the Vatican has very strict rules about clothing for royal women meeting the Pope, but it is made very clear beforehand what is expected. I presume that the Royal family have not been told about this particular US sensitivity otherwise the Queen would have worn black when she visited the New York Memorial. Queen Elizabeth is usually extremely well briefed on local customs when visiting other countries. Incidentally I seem to remember that the Queen wore green when visiting the Memorial to the Easter Rising in Ireland and I don't recall that the woman who was Irish President wore black either. so obviously not everyone thinks wearing colours is disrespectful to their dead. @Anonymous @ 20:31: You are absolutely wrong. It is NOT the same thing here and if it were, then everyone would wear black when visiting any memorial for fallen Americans. There was no disgrace here at all. I was shocked to see the bright color worn for the 9/11 memorial, though I was dreading more black. But the more I look at it, the more appropriate this coat seems. The black and white coat worn yesterday would probably not have been warm enough for an outdoor event in the cold rain and gloomy weather today, and the cerise coat looks too heavy for the indoor children's event. And as someone pointed out, this color is highly visible, matches what Camilla wore there, and even the Queen wore a bright floral dress on a hot summer day to visit the memorial. No one has commented on the very expensive rings necklace worn to the GREAT reception. As far as I know, Kate has worn it only once before, for an Olympics event. It looks very nice with her black dress. She is dressed New York style, like Chelsea Clinton, for the reception today! I'm also noticing that both dress and coat are below knee length, also no doubt for warmth. That should please those who think Kate shows too much leg! I must be in the minority as I can't stand that necklace. It just isn't pretty in my opinion - for $80,000 it has better be a showstopper. Cartier has far nicer pieces and it's a shame she has this one. It is a beautiful coat, appropriate or not. I do agree she should have worn some colour, especially when meeting children. I think most people would've changed the coats if they were to wear them in those situations. I completely agree! She looks quite pregnant in her big coats, but barely pregnant at all in her dresses! Everyone has their own opinion and is entitled to it, but I for one did not think that the bright pink color was in any way disrespectful. I've visited the death camps of Dachau, the beaches of Normandy and Pearl Harbor, the battle grounds of Shiloh and Bastogne, all many places where thousands lost their lives, and not once did I worry about what color I was wearing, nor did that color take away from my ability to remember or mourn the tragedy or otherwise pay my respects. I like that she's mixed up her hairstyles for this trip! Half up, her signature long curls, in a ponytail... dare I hope that we'll see a chignon or other updo for the gala event? 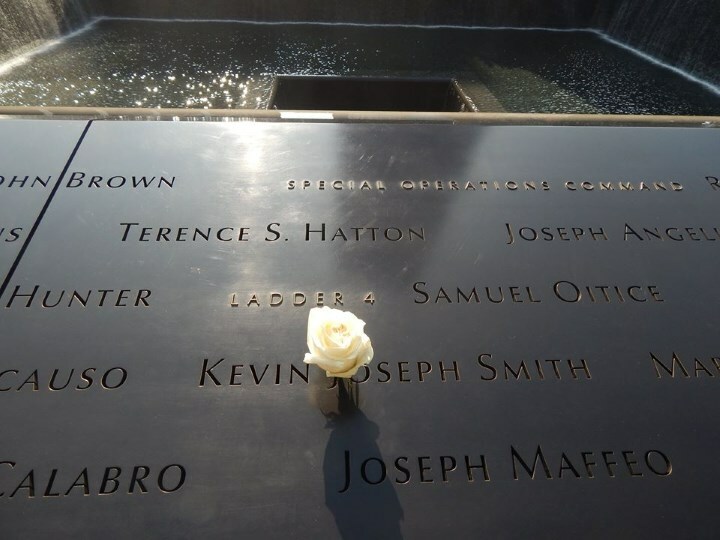 When I think about the World Trade Center Memorial, my mind goes to the hundreds of children who lost a parent there and still miss that person every day. Some people even jumped to their deaths on that spot. There is still alot of suffering around 9/11 and that should be acknowledged. So, while I loved the coat, it did shock me to see her wearing a party pink color. Life goes on and we don't always have to be sombre but a light blue or even white would have been a better choice. This coat is probably the only thing I have ever seen her get wrong but I think she's been very busy and must have relied on help and advice and someone dropped the ball in researching this event. The Duchess looked beautiful, as always. Love this look on her. The color is wonderful, and a perfect choice. Thanks Charlotte! You sound angry. And maybe a little spiteful... Also, there are men on here! I am from the United States and while I did not lose any loved ones on Sept. 11th, I will never forget that day out what it meant for our country. I have never felt more patriotism than in the days that followed. With that being said, I am not even in the slightest way offended by Kate's style choice today. The bright color to me symbolizes hope for a country that did not let acts of terrorism destroy them. I am almost moved by her choice of color. This is my favorite look of the tour. I LOVE the jacket. I love the youthful ponytail especially on a rainy, windy day. The only thing I might complain over is shoe choice and that's only because I feel horrible that she has probably walked around with wet feet all day. I hope she doesn't come down with a cold. Thank you Charlotte for all of your hard work. I, like others, did not realize how young you are. Your work certainly doesn't show it. It is ibvious you are a very bright, mature, young lady. While I agree with the other posters that today's coat and the coat she wore yesterday should have been switched. I don't think it's right to say that she somehow disrespected the victims and their memory of 9/11 or the royal family. It's not like she was there the whole time giggling and playing with her hair(which she's done at the Remembrance ceremony). I think she just wanted a pop of color. I'll have to admit though, this whole trip has been a fashion miss for me. Except for the lace dress worn to the private dinner, everything else was just blah. I'm hoping tonight at the gala she'll wear something that is gorgeous, but seeing as how Kate seems ashamed to show off her figure because she's gained weight, I expect we'll see another boring lace dress. I love her look today and find no disrespect in the color. I came in to the World Trade Center train station for a nearby meeting yesterday afternoon. Just walking around in that area, which is filled with global tourists, was emotional to me. The area is busy, bustling and filled with shops as construction continues. That PATH train station will be amazing when it is complete. And it was so cold and blustery yesterday! I am glad she has a warm coat for this visit. Thank you Charlotte for this coverage. I don't think Kate needed to wear black today, but hot pink of all colors seems a little disrespectful. A deep red or blue would have been more appropriate - they are US/UK colors and not too obnoxiously bright, while still symbolizing hope and showing respect for the dead. Wearing bright pink today just especially seems odd after picking black for a children's event. If it weren't for that, I think I'd think about her choice less. I have a feeling she's going to wear something red or incorporate red in her outfit tonight.. I'm excited to see what she chooses. Oh and I love her choices so far, she makes anything look good! New York's state flower is the rose, and the pink of the Duchess's coat could be seen as being rose pink. 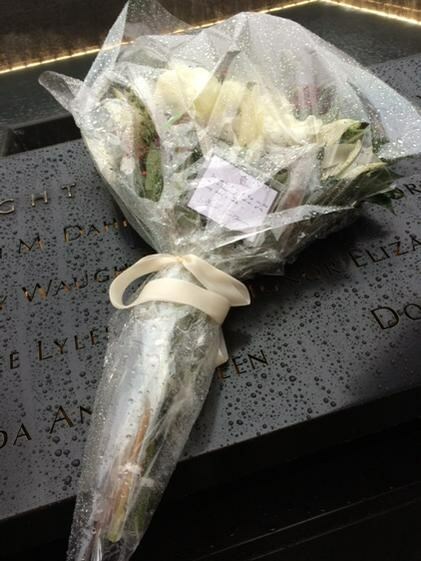 They left white roses at the memorial, so they were aware of the significance of the rose. Perhaps her coat was "rose pink"? Royal correspondent Rebecca English received news Kate's jeans last night are by J Crew! I have never been pregnant, so I am curious. You can still wear regular jeans even at 5 month pregnant? Wouldn't they cut into her belly? depends on the pregnant lady and the cut of the jeans (if they are lower cut, for example, they would fit for longer). i'm really short, so i was in maternity pants before 4 months (cause the baby can only go out). nice tall ladies with long torsos might find it a bit easier to fit into their normal clothes until even 7 months. Also (sorry about back to back posts). The Cartier necklace HRH is wearing seems to be solid gold, i.e. no diamonds. Is this a wrong impression? 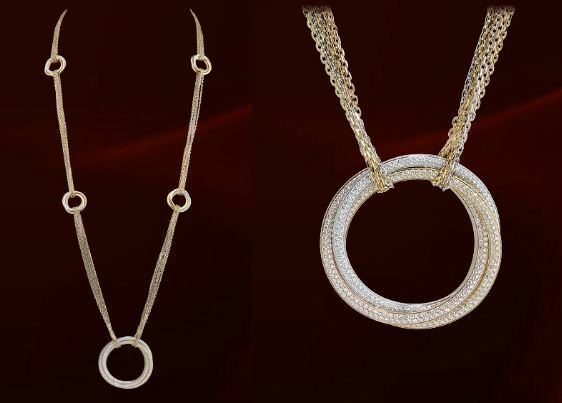 The Cartier 100K one has diamonds, but again, not sure if HRH's does. Clarifications? I, personally, would love to see more Royal bling and think that the backlash over the Cartier necklace has kept HRH from wearing more exceptional, luxurious pieces in public (like that famed ruby/diamond necklace of hers). I love both looks! I find nothing wrong with wearing pink to a memorial and noticed that William's tie has some pink to match his lovely wife's coat! If I were to visit, I don't think the need to wear a sombre color would even cross my mind. I also really like the black dress with the Cartier necklace! Can't wait to see her evening gown selection! Thank you, Charlotte, for all of your wonderful work! I love the coat she wore today. And her black dress! She has had such great style on this trip. She is looking amazing and fresh these last few days hey! Big round of applause to Charlotte for all your hard work. Thank you so so much! To my astonishment, I quite liked the black off-the-rack, high street dress from Seraphine. And I chuckled when I noted that Kate paired it with the Cartier necklace. The two were an excellent match...so what is going on here? Has Seraphine upped the ante or does Cartier charge too much? Both, perchance; and maybe it took a young woman with a good eye to see that together they worked. Hats off to Kate! She wore a different black dress for the first 2 events today and then changed to the black Seraphine for the 3rd. I wonder why she just didn't wear it under the pink coat? The turtleneck would have looked good. Seems silly to change since we didn't even see the dress under the pink coat. I am starting to think the dress is just a comfy dress, that she doesn't want people to see (probably the same one she wore under the purple coat and the black coat). HRH looks amazing in every shot but my favorite is the $59.00 dress paired with the $49,000 necklace- very very KATE! The Mulberry coat is gorgeous! Although visiting a memorial doesn't mean wearing black, and the bright color worked well with the dreary day, but just a little odd that she wore black to visit children and vibrant pink to visit a memorial. Whatever.......LOVE the coat! I really don't think Kate's necklace is the same one pictured. Hers looks to be all gold with no diamonds. I haven't looked online so I don't know if there were several different options for this necklace? That might be an interesting bit to find out. To everyone pointing to Camilla's choice of coat when visiting Ground Zero - her's seems much more red than a bright hot pink. Red or blue I think would have been perfect today, as I mentioned above. They are patriotic colors (for both the US and the UK), showing hope, while also not being so bright as to show disrespect to the dead. Note her necklace choice too. The choice of hot pink just seems even more baffling given Kate's penchant for wearing black in most other situations, including while visiting children! I also said this above and I'll repeat it again. Yes, many people visiting the memorial go in jeans and t-shirts. But the Duchess is not 'many people.' If she was, she wouldn't get an all-expenses paid trip to New York with funding for her wardrobe, personal assistants and hairdresser. Given all of the resources she has, her position, and the public stature of this visit, I don't think it's unreasonable to expect a little more of her than the average person. Camilla's suit was not red. And if Kate *had* worn red, we would have the same heated debate about her choosing this occasion to wear it. I am so enjoying this "whirl wind tour" of the Big Apple by the Duke and Duchess. They both seem to be having a blast even though it is all work for them both. I love the Duchess's choice of outfit today--she looked "cheerful" in the Mulberry coat--a great collar on her. I can't wait to visit New York to view the 911 museum--very moving choice of photos of the royal couple at the museum, Charlotte. I have been humming Alicia Keyes" Empire State of Mind" since the start of the tour. tune.pk/video/5288626/jay-z-b-alicia-keys-empire-state. Another great post Charlotte. Words cannot express how thankful I am for all your hard work and I can't wait for this evening's formal event. I am so tired of her wearing black or grey. She's only worn color twice this whole time -- if she pops out a black gown tonight I am going to scream! The Mulberry coat is a knockout. Love the colour and its symbolism of hope & healing. I respect that there are different opinions over what's appropriate for the 9/11 Memorial but the waspish tone of some commenters makes it very hard to empathise with them. I'm baffled by these comments that she's trying to hide her bump because she's body conscious about her weight gain. At this stage of her pregnancy she needs clothes that will accommodate a growing bump and so they're going to be a bit loose. In the later stages of her first pregnancy she wore formfitting clothes that showed her bump. The Hobbs animal print dress that she wore to launch the Royal Princess liner at the Ocean Docks in Southampton springs immediately to mind. This was her last solo appearance before giving birth. She also received international acclaim in the media for emerging from the hospital after the birth of Prince George in a dress that clearly showed her still very swollen stomach. I agree with you! The Mulberry coat is a knockout.....it's my favorite ensemble so far. Me too....totally baffled by the nastiness of some the commenters. I love everything she has worn while in New York.....she looks radiant. CALGARY – The Duke and Duchess of Cambridge were saddened to hear a young Alberta girl has lost her battle with cancer, said a spokesperson for Buckingham Palace. I just found out about this in our news. It is so sad. Kate met her on the Canadian tour in Calgary. May she rest in peace. Does anyone know a good dress that looks like the Seraphine one she wore today but that is not maternity? I love the style! !